Big Fish Games,Founded in 2002, the world's largest producer and distributor of casual games, delivering fun to millions of people around the world. *$4 cash back for new customers. *4% cash back on repeat customer sales. *No cash back on gift cards. 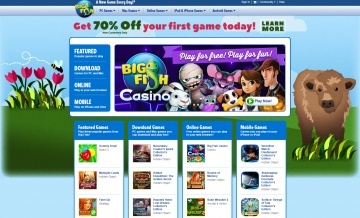 Click a Coupon or click Start Shopping to earn 4% Cash Back at Big Fish Games.